Sami Grisafe is not afraid of obstacles. In fact, she welcomes them, because they made her the person she is today. 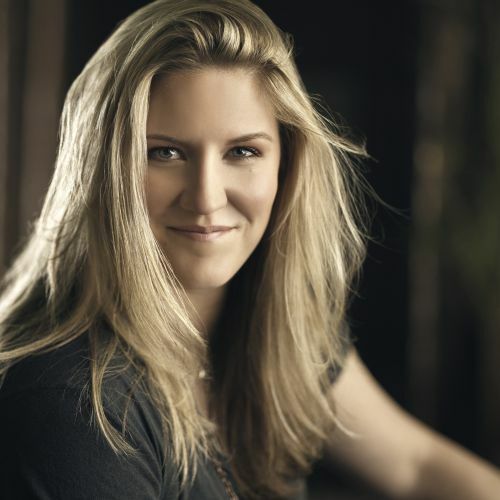 An all-star quarterback (whose stats in her position exceed those of most NFL quarterbacks) and a talented singer-songwriter, Sami has managed to succeed in two of her life’s passions. As she wraps up her final season playing professional women’s tackle football for the Chicago Force and Team USA, Sami will go down in history as the first female in California to play the quarterback position in a varsity Division I high school football game and the first female to throw a touchdown pass in a world championship tournament. She was recently inducted into the Redlands High School Athletic Hall of Fame in Redlands, California. Growing up in Redlands, she charted new territory as a female athlete. Besides playing football since the age of ten, she played baseball for nine years and was the first girl in her community to make a boy’s baseball all-star team. It was also at age ten that she taught herself to play guitar, but, wanting to be unique, she diverted her focus to the ukulele! Tagging along as her parents performed with their country group Two of Hearts at state fairs, parties and weddings, Sami was also inspired by her parents to get involved in theater. She subsequently won first place in a state monologue competition, which lead to an acting scholarship to Chicago College of Performing Arts at Roosevelt University – and to her joining the Chicago Force. Now, as the football door closes, the music door opens wider. A proud member of the LGBTQ community, Sami is in the process of recording her new album beginning with a new song, “Brand New Fairy Tale,” as a show of support for equal rights among all people in marriage. The single features Eric Himan, a national touring, award-winning singer-songwriter who spent spring of 2014 opening tours for both Leon Russell and Ani DiFranco. Currently living in both Chicago and Los Angeles, Sami enjoys supporting local theater, music and, of course, her favorite sports teams.